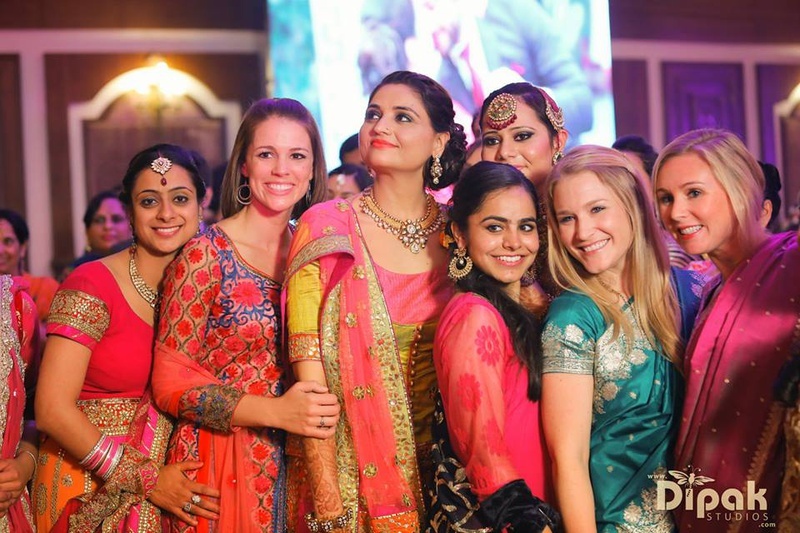 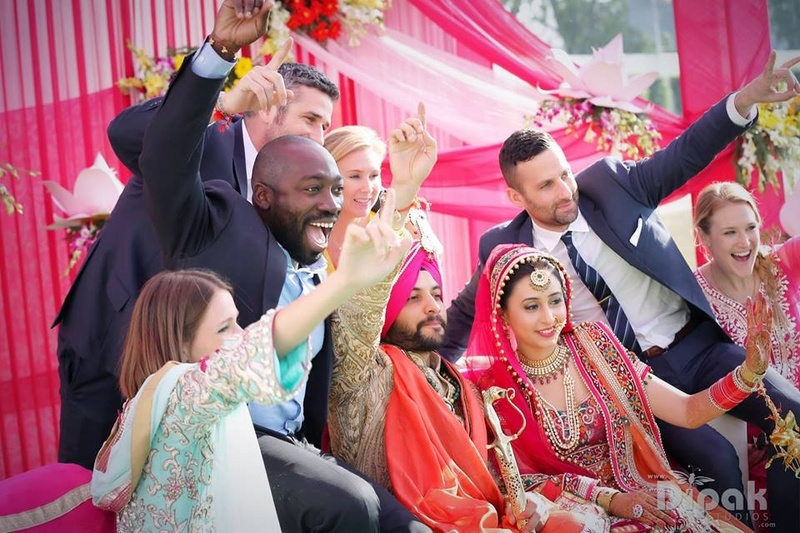 An elegant bride, a handsome groom, happy friends and exquisite décor – Harpreet and Anmol’s union was the perfect recipe of a wedding ceremony exceptionally done! 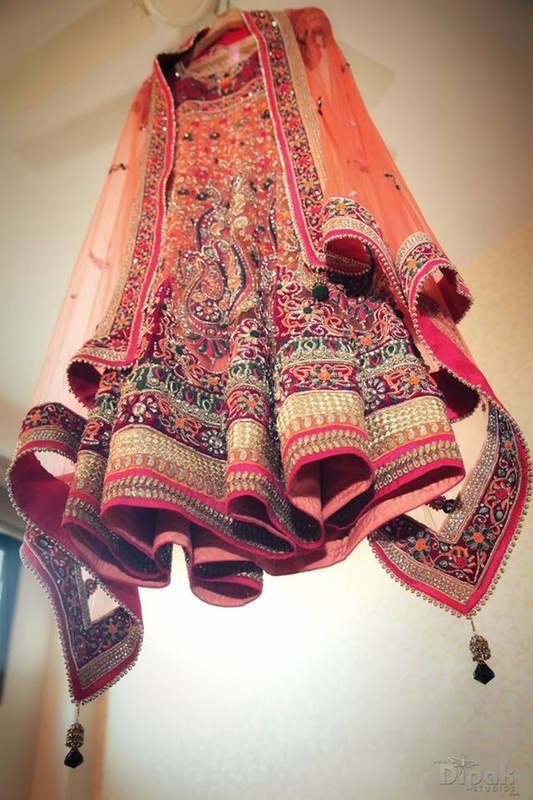 Wearing a phulkari inspired lehenga, the beautiful bride accessorized her look with multiple adornments including a polki and pearl rani haar, a kundan-polki necklace, but what really left us mesmerized was her gorgeous maangtikka and jhoomer, studded with kundan, emerald green semi-precious stones and pearls, it definitely took her ‘ethnic Punjabi’ bridal look to a whole new high. 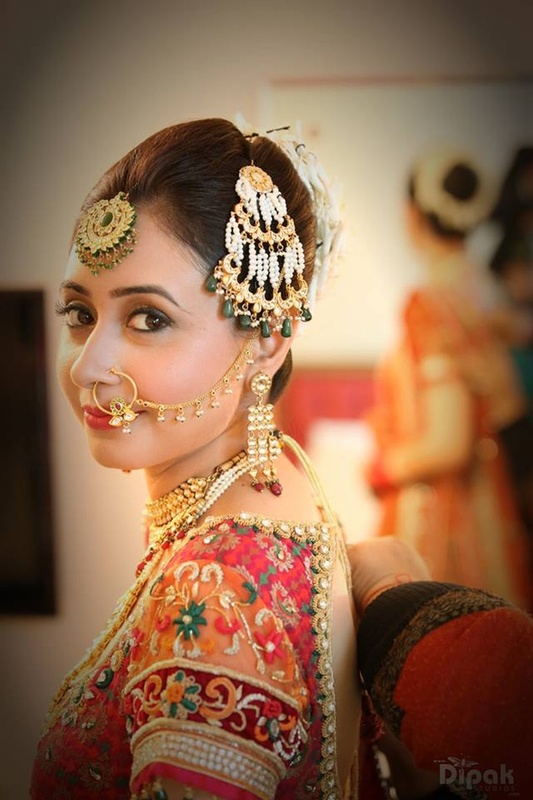 Amol opted to wear a gold and off-white bandhgala achkan that was furbished with regal designs. 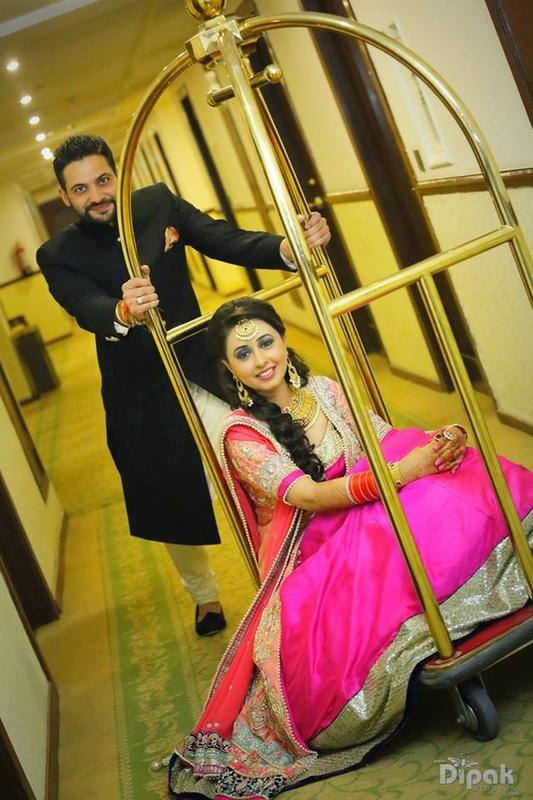 Together, this beautiful couple took Phera’s around the Guru Granth Sahib, under the blessing of Wahe Guru with complete solemnity and pure hearts. 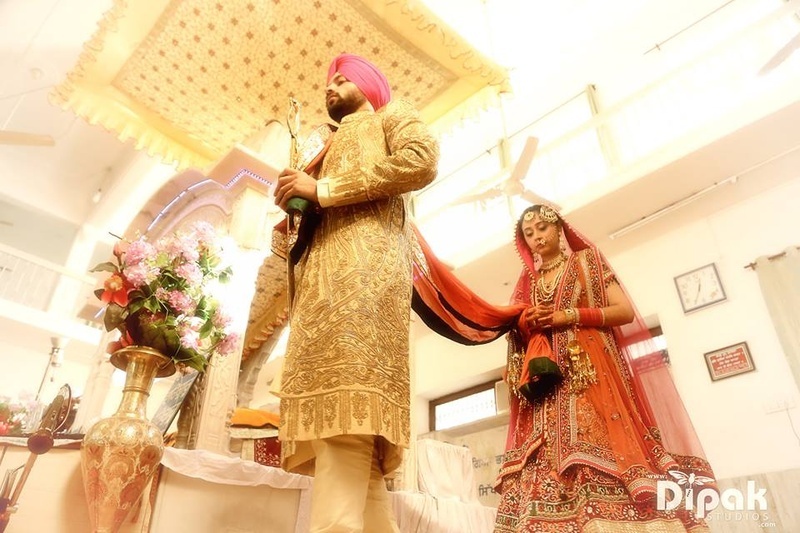 The groom held the Holy Kirpan symbolic of an oath for the protection of his family and loved ones. 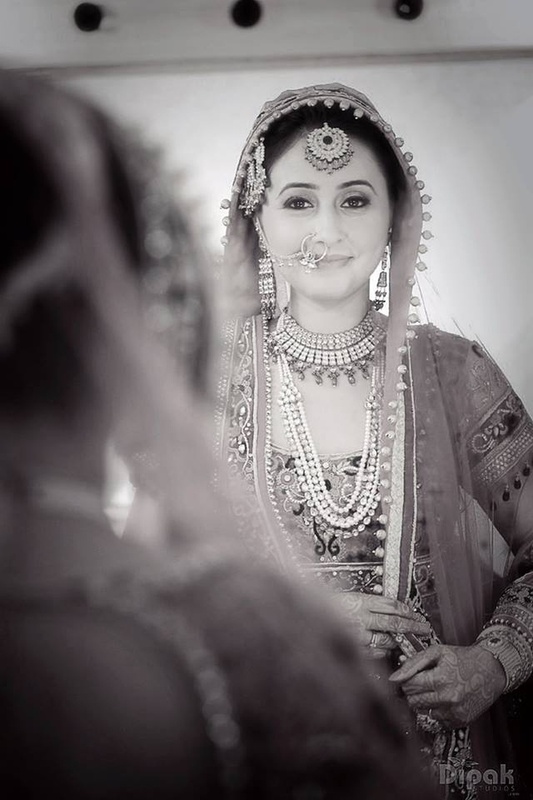 Every stunning image from this traditional sikh wedding ceremony was perfectly captured by Dipak Studio Photography. 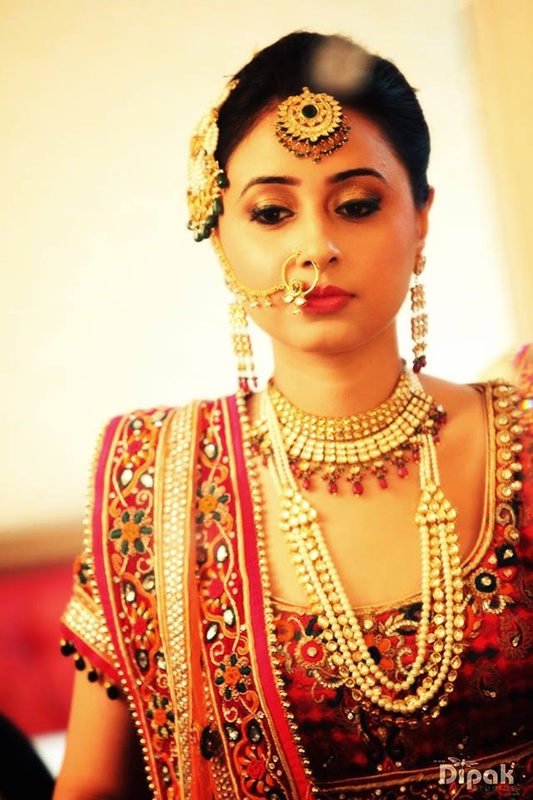 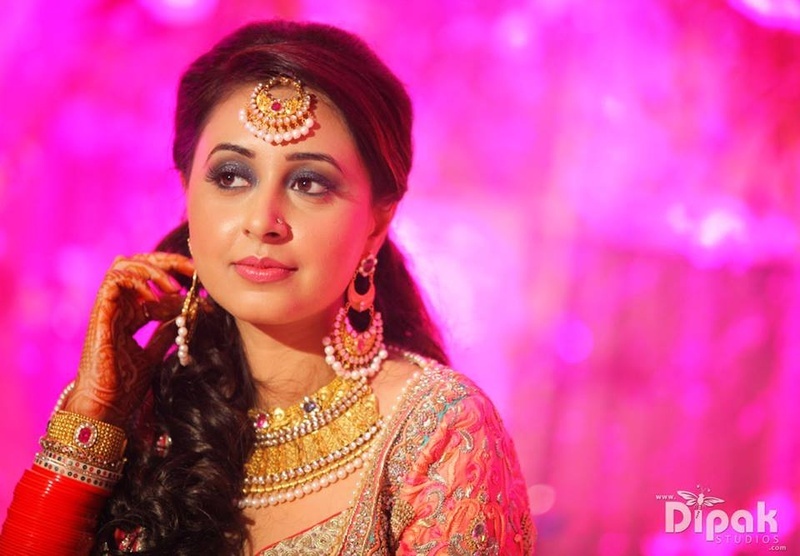 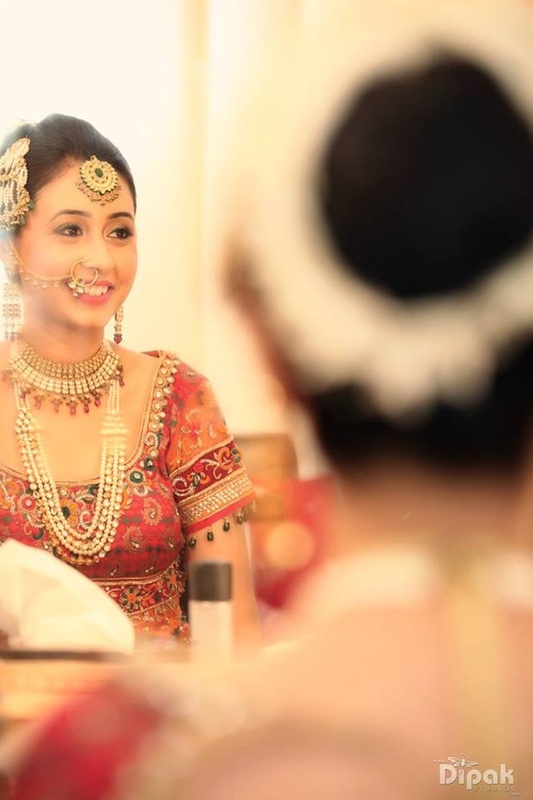 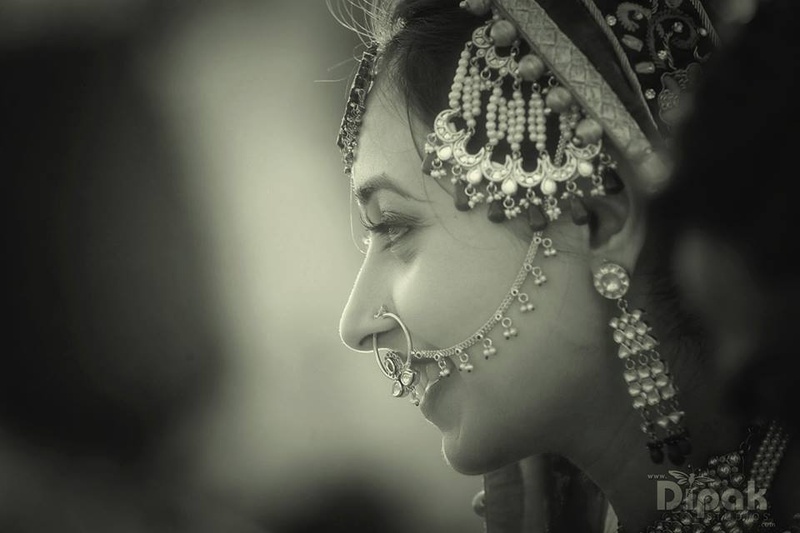 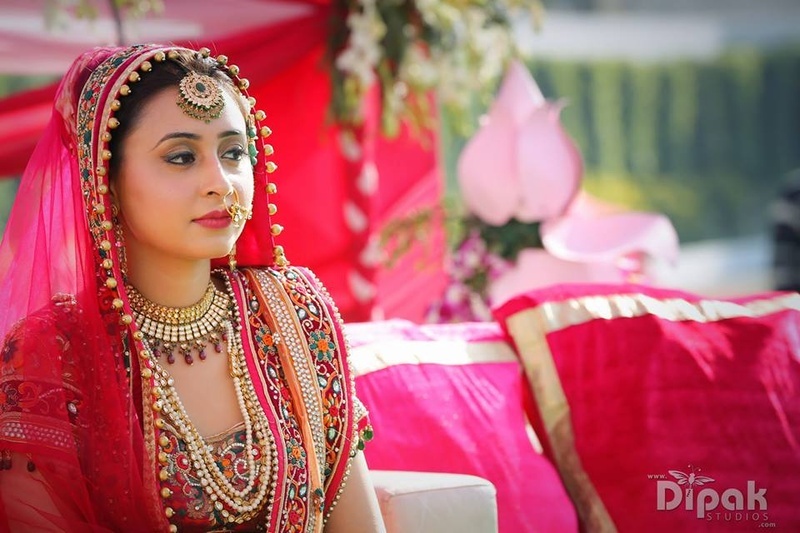 Wedding lehenga styled with gold traditional jewellery to-die-for! 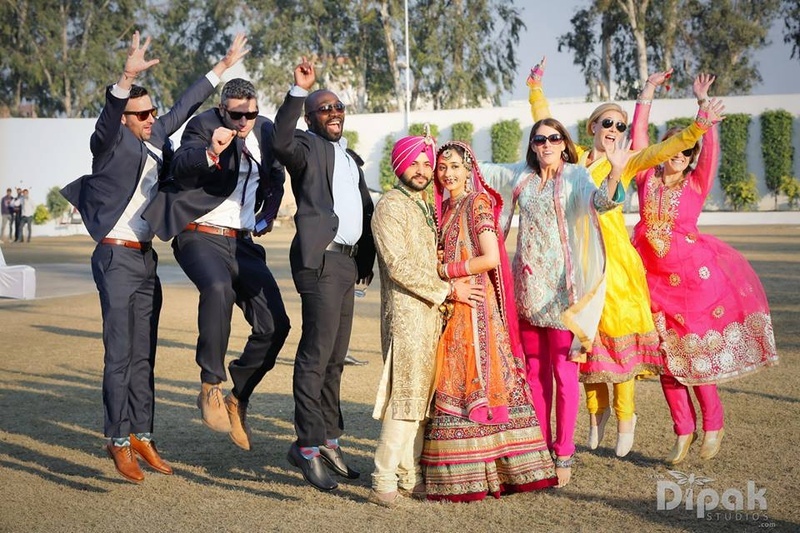 Chirpy wedding guests jumping in joy!